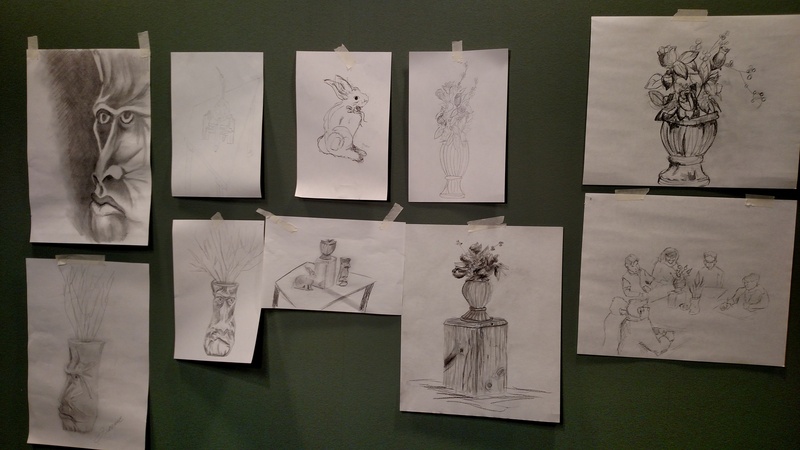 Provided with paper, pencils and still life subject matter, Guild members present at our January 24, 2017 membership meeting exercised their drawing skills and shared their results. This exercise is just one example of the activities we will incorporate after the business portion of our monthly meetings as a result of a tough examination of the state of our club. Our October 25, 2016 SWOT (Strengths, Weaknesses, Opportunities, Threats) Analysis determined that members would like to see more hands-on/educational/sharing of talents and experiences. We have so many wonderful hidden talents within our ranks, and we need to bring them out and share them with the group. 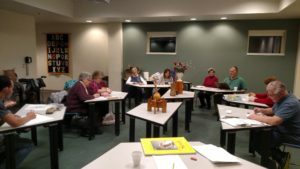 Members want to learn from each other as well as from outside parties, speakers, artists, etc.